This is how the tip looks like. Still clean because I took this picture first before I used it. The body packaging is flexible and to use this product, I need to squeeze the lip cream out of the packaging. This is the hard time, because it is quite hard to make the product come out. The packaging isn't really hard to squezee but the product is quite hard to come out. At first I only squeeze gently because I'm afraid many products to come out but in the end I give up and squeeze it very hard to get the product. You know the feeling when you squeeze almost finished toothpaste? well, it's quite the same with this hahahaha. The lip cream itself is really soft and pigmented. The finish result is semi matte. Once it set, it almost like a lip tint. It will stay on your lips and the staying power is quite awesome. My shade is PK07 which is really red on heavy swatch. 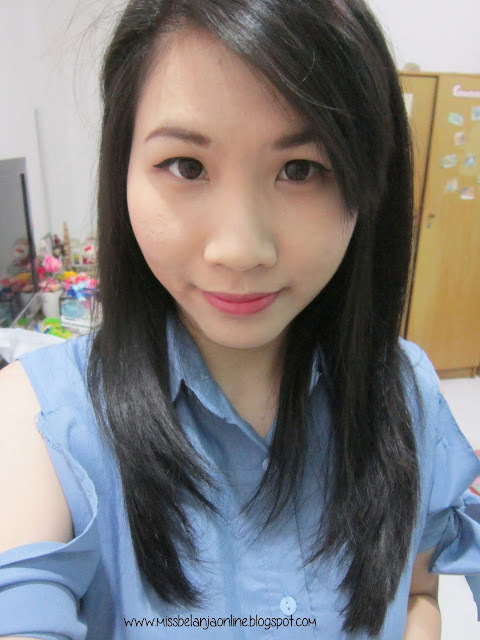 For my lips, I only apply some products on the center of my lips and then spread it with the cushion applicator. 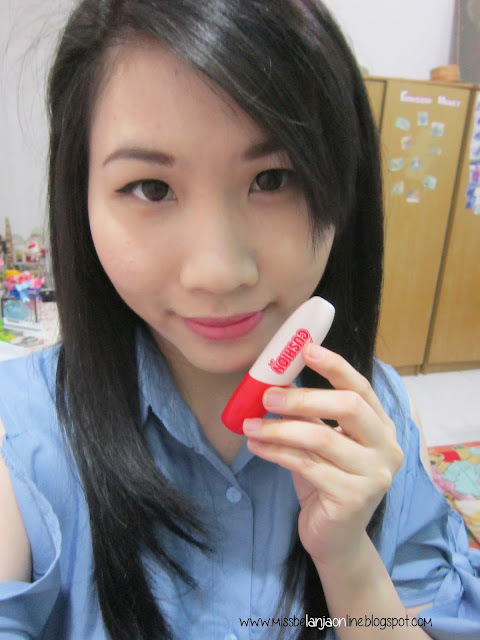 I also apply clear lipbalm before that, because this product tends to make my lips dry after some time. I suggest you use lip scrub before if you have chapped lips because the lip cream will make it looks more visible. If you scrub first, it will makes the lip cream glides easier and the color also will come out beautifully. ya ampun warnanya cantik banget, sangat natural..